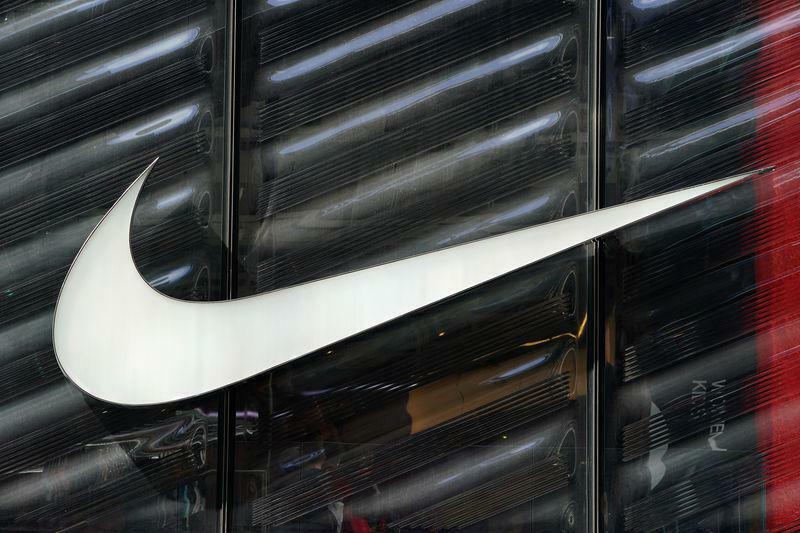 BRUSSELS (Reuters) - U.S. sportswear maker Nike was hit with a 12.5 million euro (10.7 million pounds) fine on Monday for blocking cross-border sales of soccer merchandise of some of Europe's best-known clubs, the latest EU sanction against such restrictions. The European Commission said Nike's illegal practices occurred between 2004 to 2017 and related to licensed merchandise for FC Barcelona, Manchester United, Juventus, Inter Milan, AS Roma and the French Football Federation. The European Union case focussed on Nike's role as a licensor for making and distributing licensed merchandise featuring a soccer club's brands and not its own trademarks. The sanction came after a two-year investigation triggered by a sector inquiry into e-commerce in the 28-country bloc. The EU wants to boost online trade and economic growth. European Competition Commissioner Margrethe Vestager said Nike's actions deprived soccer fans in other countries of the opportunity to buy their clubs' merchandise such as mugs, bags, bed sheets, stationery and toys. "Nike prevented many of its licensees from selling these branded products in a different country leading to less choice and higher prices for consumers," she said in a statement. Nike's practices included clauses in contracts prohibiting out-of-territory sales by licensees and threats to end agreements if licensees ignored the clauses. Its fine was cut by 40 percent after it cooperated with the EU enforcer.